Widely regarded as Voyager’s best season, Season 4 opens with the exciting conclusion of “Scorpion,” which introduces us to a new character, Seven of Nine, who will be featured prominently throughout the series’ run. The midseason two-parter “Year of Hell” revisits events foreshadowed in Season 3’s “Before and After,” albeit slightly altered. The episode features stunning visuals, a great guest star in Kurtwood Smith, and an exciting ending. 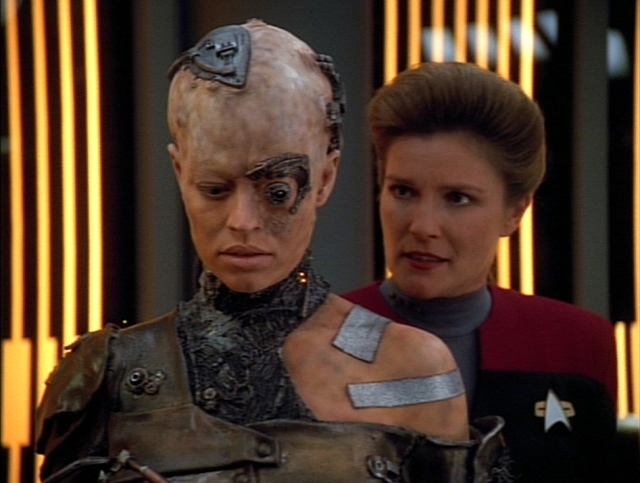 The season comes full circle with its finale, “Hope and Fear,” where Janeway is forced to confront the consequences of her actions in “Scorpion, Part II.” The episode also marks the first time Seven of Nine truly accepts her life as an individual.